If you've been hanging around here for a while now you'd be well aware that bub is a tad bit obsessed with owls. It all started with Giggle and Hoot. I'm pretty sure originally she just thought it was amazing that Hoot could talk and sing. Now she has a firm attachment to both Hoot and Hootabelle, and a soft spot for Jimmy Giggle. Shes now associated the singing, dancing and talking with all owls so now any owl is amazing. I never really thought much about owls before I had bub and was inducted into the Giggle and Hoot fan club. I mean owls aren't really something that you'd think about on an everyday basis. Well apparently now they are. Pretty much all of my purchase decisions for bub now revolve around owls. Her clothes, her nursery decor, her toys and now her birthday party theme. I don't mind though because it turns out I've grown quite fond of the little guys (and girls, sorry Hootabelle). I'm particularly fond of our new addition, this little guy. Charlie has been with us for a few weeks now and, although he's technically for bub, I've developed a soft spot for him. He was my companion in the kitchen before moving to the nursery to join bub. We made cupcakes together (well he watched and provided the mood lighting while I slaved away). He's been a good helper in the kitchen, but I had to relinquish him to bub so he could fulfil his intended duties. 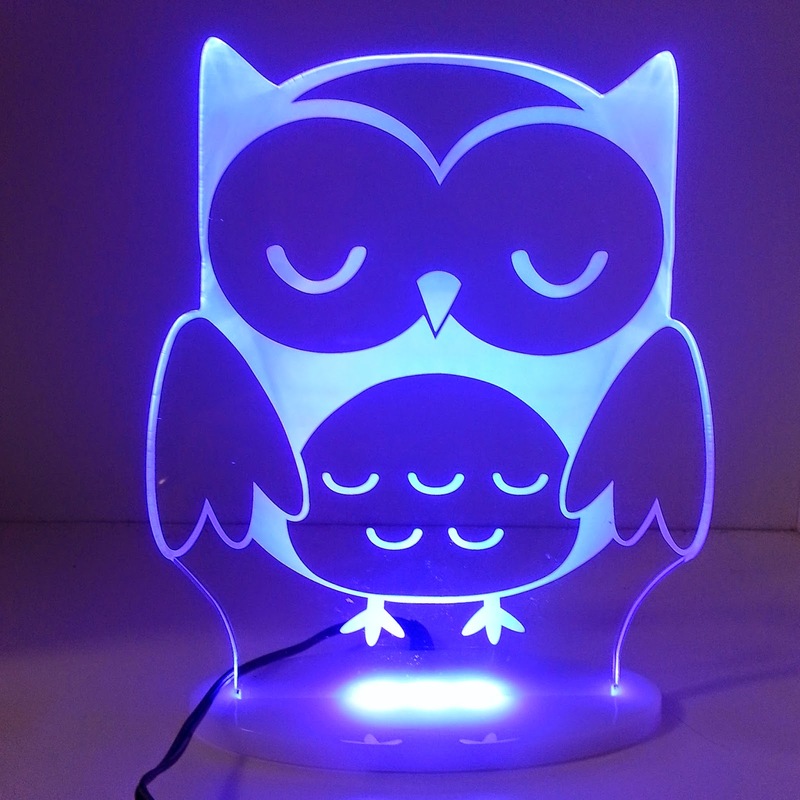 Charlie is actually a my dream night light designed for children (not mums who need entertaining while cooking). 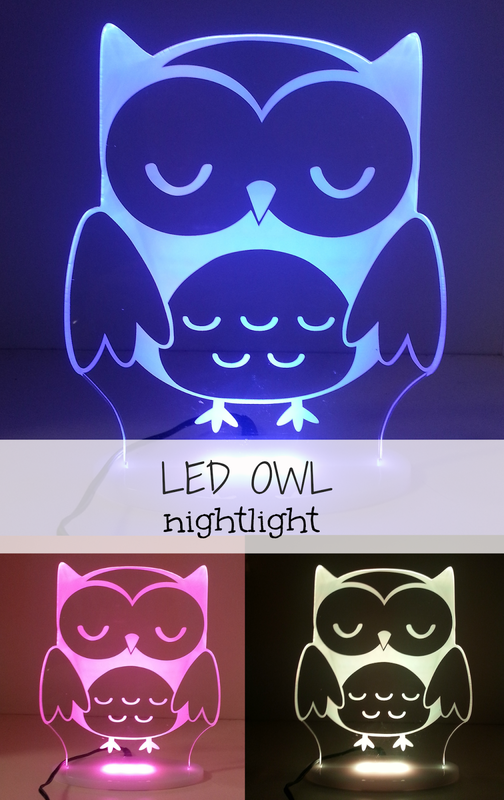 The night light is acrylic and comes in two pieces so there's no fiddly assembly required. It uses LED lights but runs via electricity not batteries which means it never stops working! Yay no need to replace batteries (or light bulbs) all the time. The LEDS are energy efficient using 0.6 to 0.1 watts depending on the setting chosen. It also comes with a remote control (so you have the power not the kids). 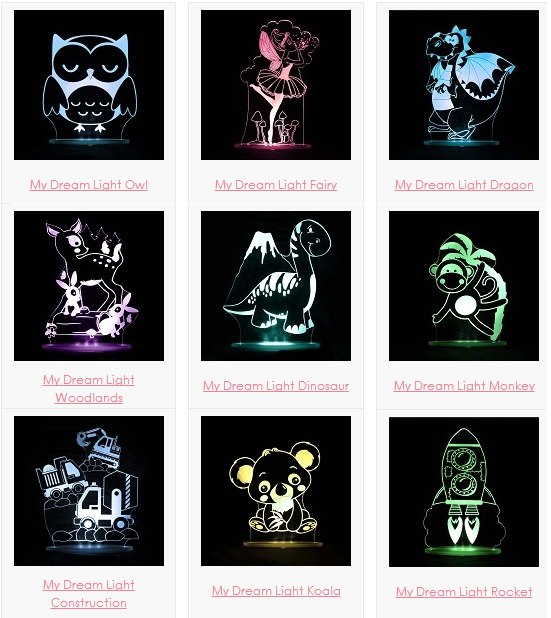 The night light has 13 different colour choices from plain white to different shades of colours. In addition to the huge number of colour choices there are also four cool function modes - sleep level, sleep timer, colour changing and side lamp mode. The sleep level button automatically lowers the level of the brightness to make it more appropriate for sleeping. The light normally gives off quite a bright light when in a completely dark room so I find for bub the sleep level is definitely better for bed time. 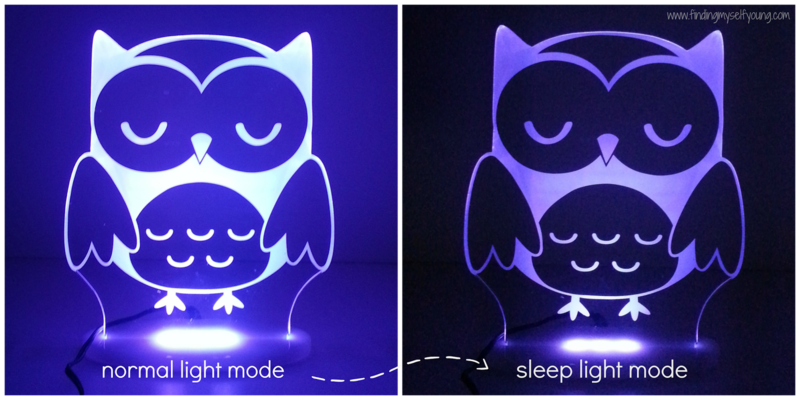 The sleep timer mode sets a timer that automatically turns off the night light after an hour. The colour changing function gently cycles through all 12 of the shades of colours from dark green to light purple. The side lamp function puts the light back to static bright white for reading. I tried to take a video of it cycling through the colours, but I didn't have enough phone memory (yes I take too many photos and videos) so below is one I'd already taken of me manually flicking through the colours. The night light provides a good amount of light both in low light during the afternoon with her blinds shut and in pitch back dark at night. Of all the night lights I've come across, this one definitely ticks the most boxes. 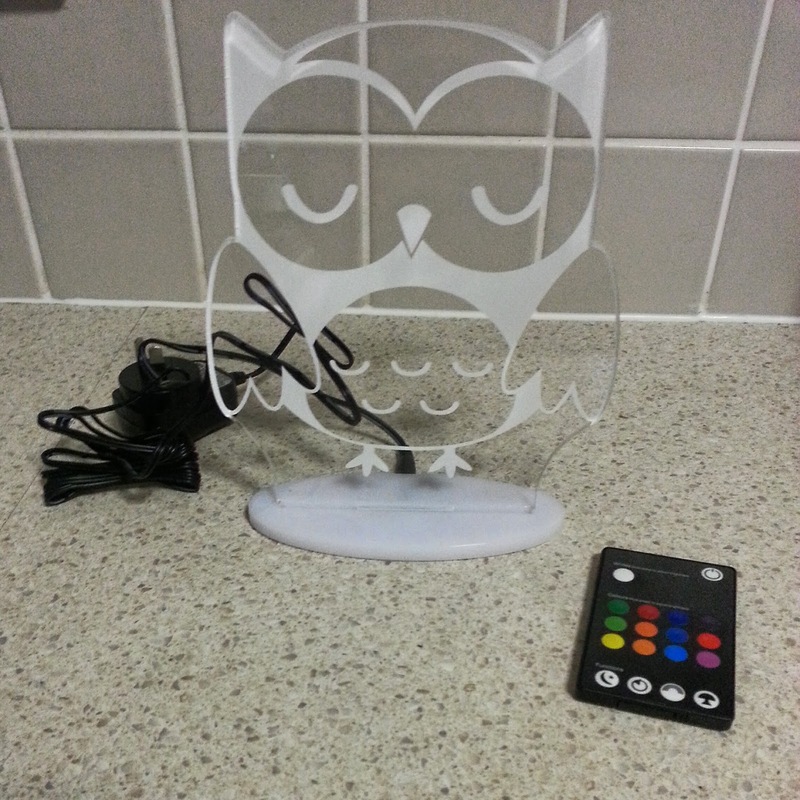 I love that its so easy to assemble and the fact that it's made of acrylic and not glass is great when children are involved. Being flat its also quite compact so doesn't take up a huge amount of bench space like bulky lamps do. I'm also a huge fan of the fact that its not battery operated, both because it means the choking hazard is removed and my need to continuously buy and replace batteries is eliminated. Batteries are seriously the bane of my existence now that I'm surrounded by a million and one baby toys. In addition to the safety benefits above, I also love the fact that there are so many different colours and functions to choose from. The only other colour changing night light we have is a tiny butterfly one (the size of a tealight candle) which just rotates through 3 pre-programmed colours. I love that this night light gives the user the power to control the colour choice (probably because I'm a control freak). The fact that all the buttons are on the remote and not on the actual light also means that little (touch screen skilled) fingers cant mess with the settings - or turn the light back on after you've set the timer. Overall I think this light is a win on so many levels for both parents and kids. If you aren't particularly fond of owls, he also has quite a few other friends you can choose from. Disclosure - I was gifted Charlie, but was not paid for this review. All opinions are my own based on my personal experience. Oh I love him! Jess has an owl/bird theme in her nursery too :) Love love love! Owls and birds are so cool. My daughter would just love that fairy! Charlie is as gorgeous as too. The thing that really appeals to me about these lights is that they have a timer. 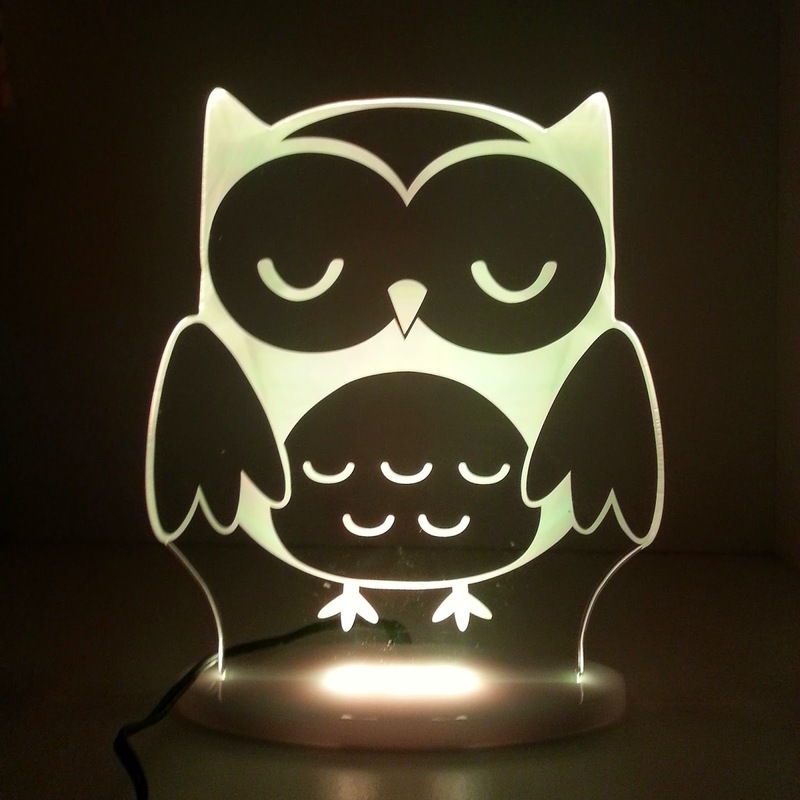 That is a must have when it comes to night lights. 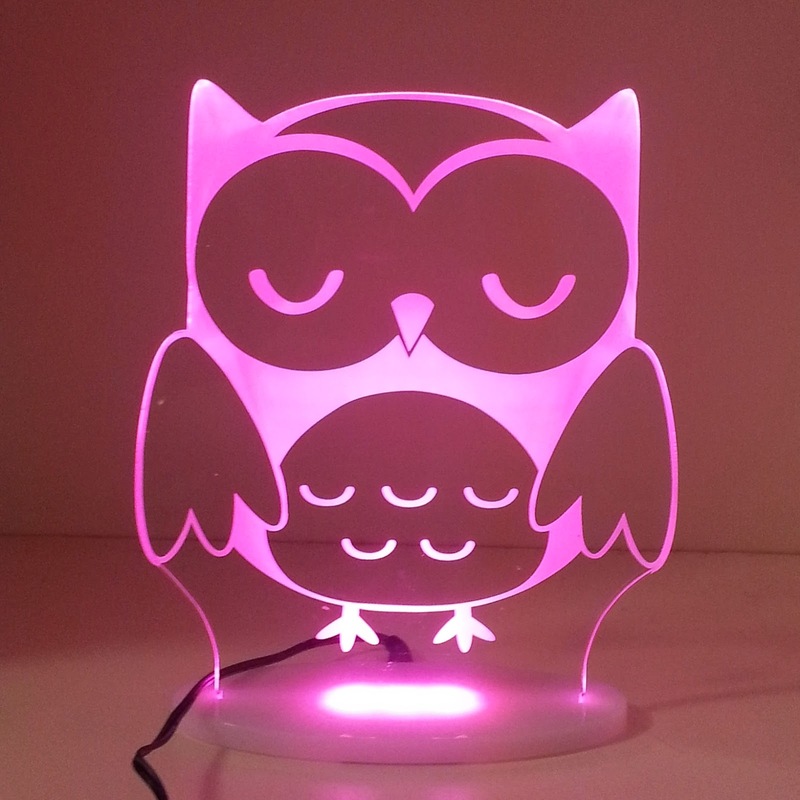 This is VERY cool, strangely my youngest is scared of owls but loves Hoot! My son would LOVE the dragon, about to research now, thanks for sharing the offer! The dragon reminds me of the big dragon from Mike the Knight for some reason (even though they look nothing alike). This is so beautiful and very cute! Miss 7 has a night light in the shape of a moon (she loves the outdoors) but it runs off batteries and I'm ALWAYS having to replace them. This sounds like a great option for bub when we get around to doing her nursery. Argh batteries, how I hate batteries. I like the fairy too. I'm sure at some point we'll go through a fairy stage here too.